We're going on day number four of no school for the week. Henry and Eliza have only been to school one time since January 18th! Wowza! It's so cold we can't go anywhere and the kids can't play outside. Everything is closed...even the coffee shops! So, in an attempt to grasp on to any sort of sanity for myself I'm blogging and then blogging some more. I'm part of our school's Boosters program and we'll be selling CandyGrams next week as a fundraiser. 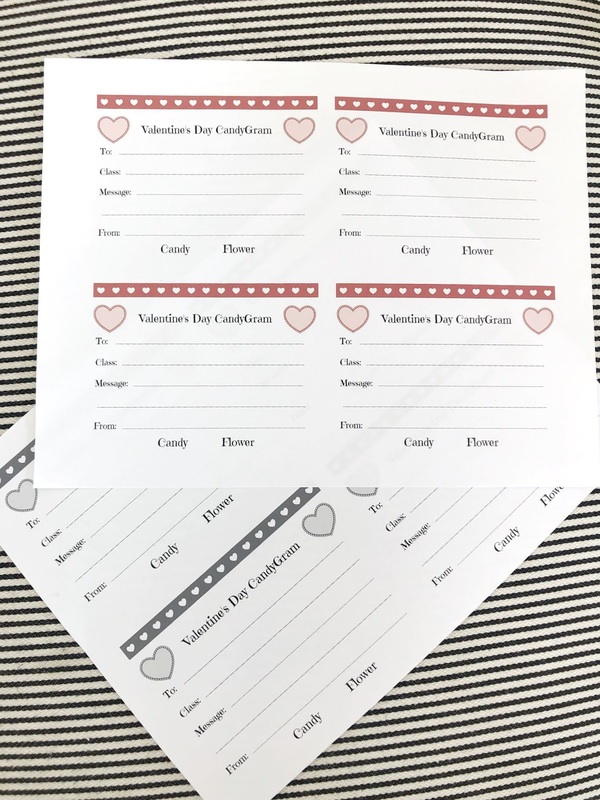 We needed some new "Grams," so in the midst of being on house arrest, I came up with these new CandyGrams over on PicMonkey. I'm not sure if this will help anyone out there, but hey - why not blog about it, right? 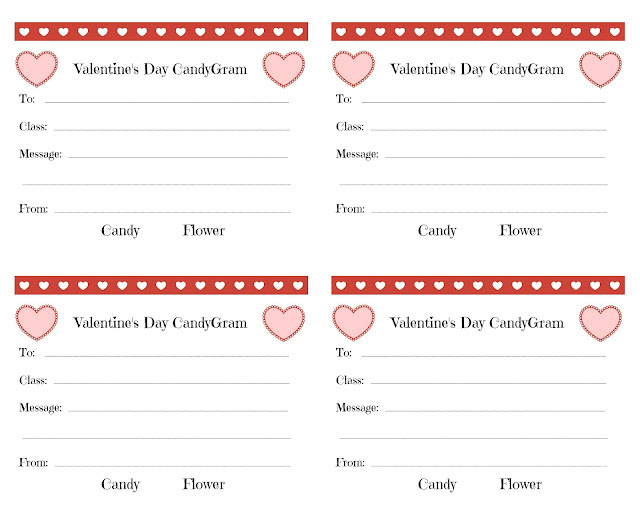 Our CandyGrams will be sold for a dollar and students, parents and/or staff can choose to purchase candy or a flower...or heck, both! I made these CandyGram sheets so that they can be easily cut and so that paper won't be wasted...gotta save those school dollars! There you have it! A fun little freebie for your school. Let me know if you end up using it! 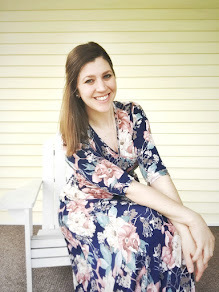 I'm linking up with Lindsay for Work it Wednesday and Nicki for Totally Terrific Tuesday.